The richest man in the world is setting his sights on poultry as an antidote to poverty. 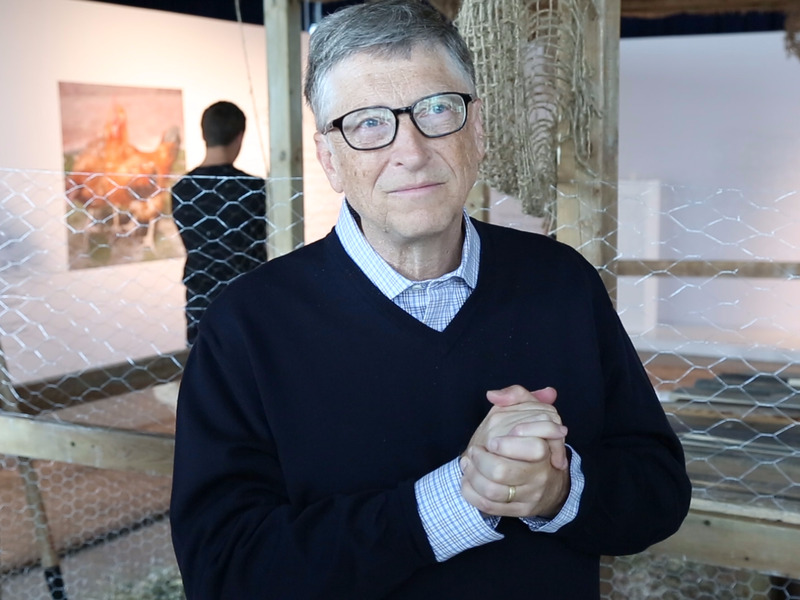 On Wednesday June 8, standing in front of a makeshift chicken coop on the 68th floor of a New York skyscraper, Bill Gates announced his foundation’s partnership with Heifer International, a charity focused on donating livestock to poor families around the world. Together, the two organisations will deliver chickens to countries in need as a way to lift their citizens out of poverty. Gates says his initial donation will be 100,000 chickens. The announcement coincides with the philanthropist’s latest post on his Gates Notes blog, which outlines the supreme benefits a flock can offer impoverished families. “These chickens are multiplying on an ongoing basis, so there’s no investment that has a return percentage anything like being able to breed chickens,” Gates says. Families that keep chickens can use the birds for their meat (either to consume or sell), and live chickens can serve as a currency to pay for things like school fees or repairs. In addition, they are cheap, easy to care for, and can empower women to take active entrepreneurial roles in their community. “The chickens are almost entirely a women’s activity, because it involves being around the household all day long,” Gates says. 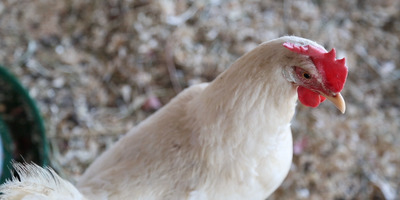 Through research and trips to West Africa, Gates has found that after a period of three months, a typical owner of eight to 10 chickens can yield a flock of 40 chicks. With a sale price of $5 per chicken, which Gates notes is typical in West Africa, an owner can earn over $1,000 a year. The extreme-poverty line, meanwhile, hovers around $700 a year. Donald Nkrumah, senior program officer of agriculture development at the Gates Foundation, says chickens are a good way to supplement seasonal sources of income, such as crops. In East Africa, for example, many farmers use the income generated from their chickens to purchase a cow, which offers more in the way of milk and meat. According to Nkrumah, livestock makes up between 30 and 40% of the income in a household. The fact families can consume eggs or milk all year-round adds to their sense of self-sufficiency. Pierre Ferrari, the CEO of Heifer International, says Gates and Heifer have selected roughly a dozen countries where they think donated chickens will do the most good. Many are located in rural areas in Africa, Central America, and Asia, though he couldn’t name any specifically. A big hurdle in choosing locations for the new coops, Ferrari says, is ensuring that local farmers are properly trained to handle a small flock of eight or nine chickens. “There’s no point in placing a chickens in a place where they’re going to die,” he explained. Nkrumah says the bulk of the farmers’ training will come from local government organisations that cooperate with Heifer International and the Gates Foundation. Over time, Gates says he hopes the partnership will help people lift themselves out of poverty. He calls it a “bootstrap” solution.